Another pro of using bamboo cutlery is that this type of flatware is durable. 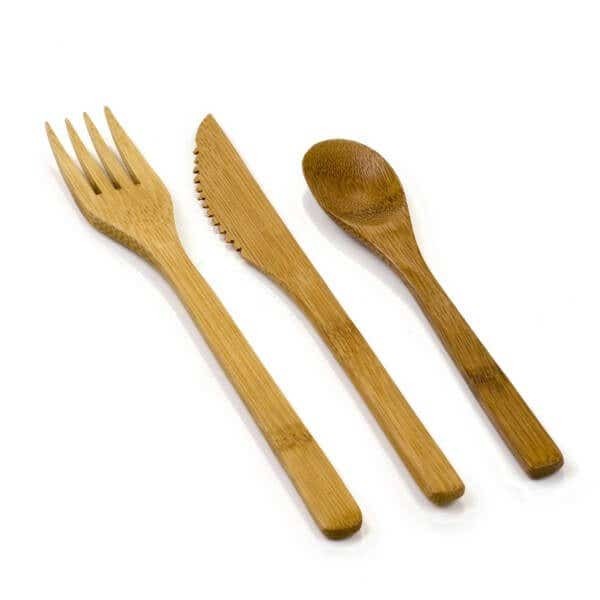 This is because bamboo is strong, flexible and heavy duty so anything that is created from bamboo is equipped with all these qualities, which is exactly what we all want from disposable flatware. In addition, bamboo is compostable. This means that when you toss away your used disposable bamboo flatware it will decompose into the earth and help other plants thrive and grow better. Bamboo cutlery has a unique natural appearance, this is because bamboo keeps its natural earthy appearance when it is harvested and turned into flatware. In addition, you can use bamboo cutlery in any kind of party, restaurant or catering setting because of it not only looks charming and natural, but it has a classy elegance that is hard to find in disposable cutlery. There are many pros to using bamboo cutlery so why not start using it today. I think you will be pleasantly surprised by the feel, look and durability of Restaurantware’s charming bamboo cutlery.